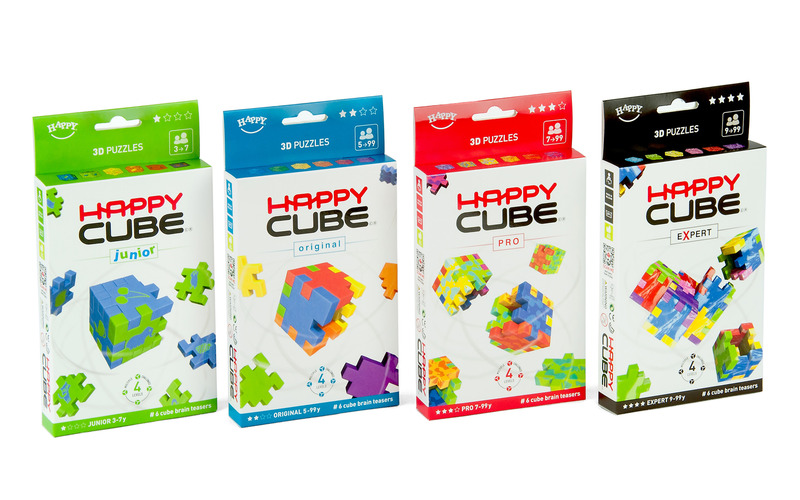 The Happy Cube Collection consists of 4 graded sets with #24 cube puzzle models, from easy to hard. 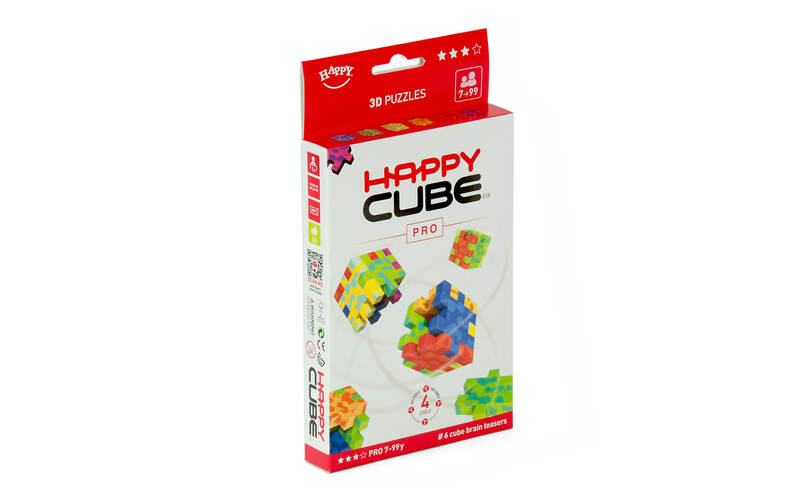 Each set contains 6 unique puzzles. 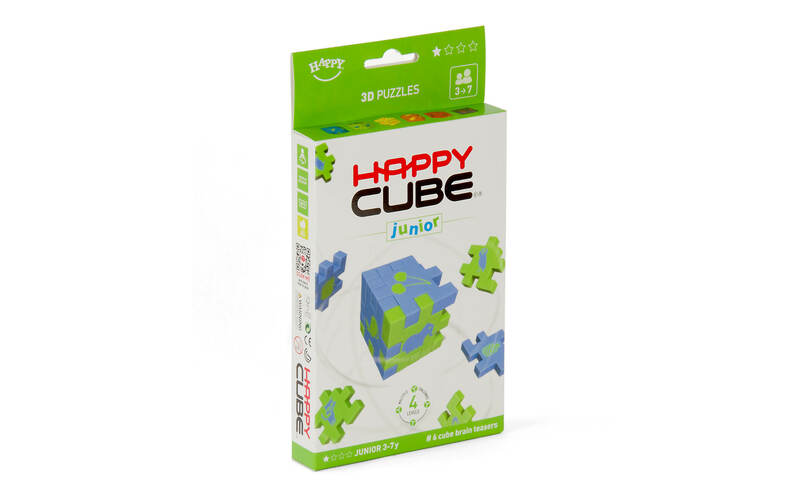 The Happy Cube graded sets, Junior – Original – Pro – Expert, stimulate the brains of children, teens and adults. 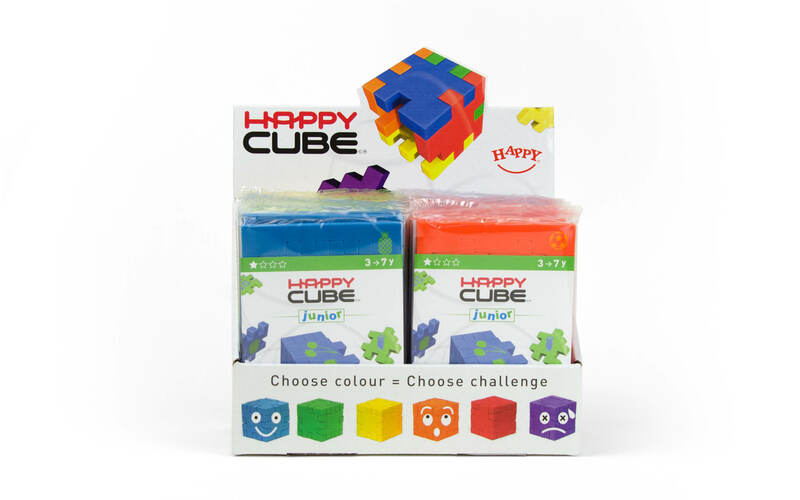 Each of the Happy Cube graded sets, contain # 6 unique cube puzzles, from easy to hard, indicated by colour. They come flat in a frame. 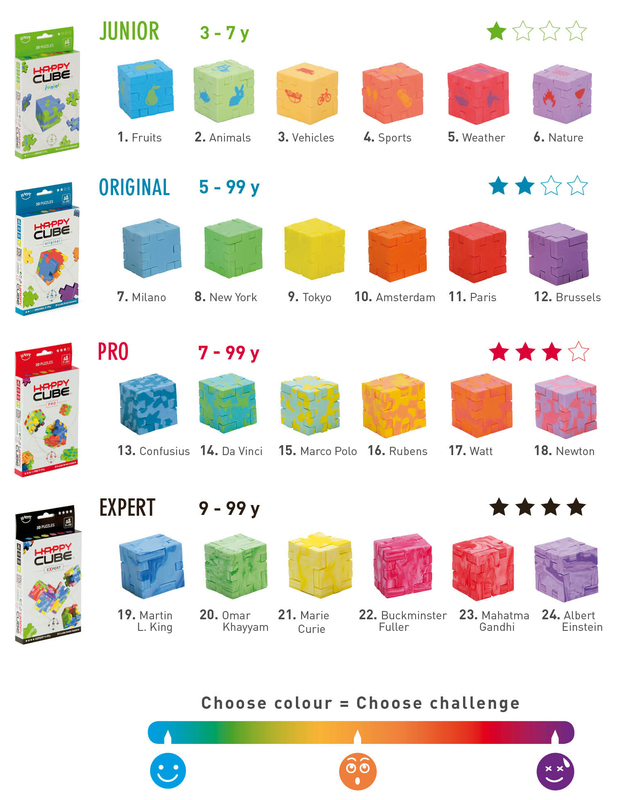 The multi-level challenges give fun to everyone, while playing according to his/her creative approach and competence. 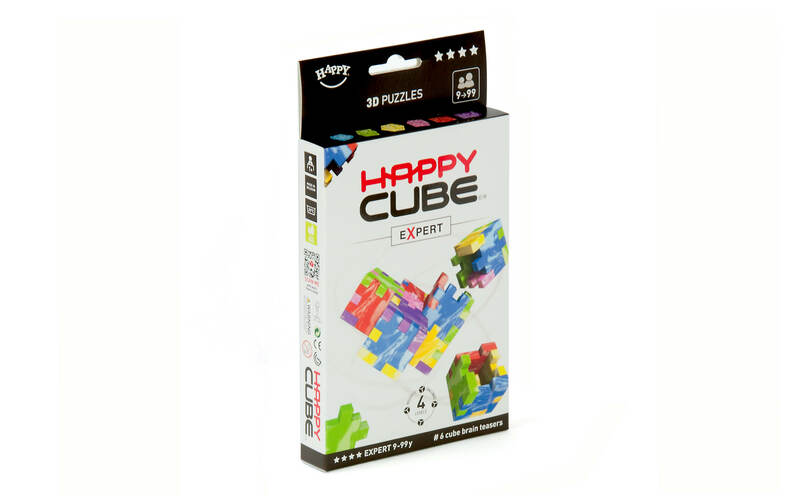 All Happy Cubes are 4 cm cubes and that’s why you can combine them to create larger constructions. 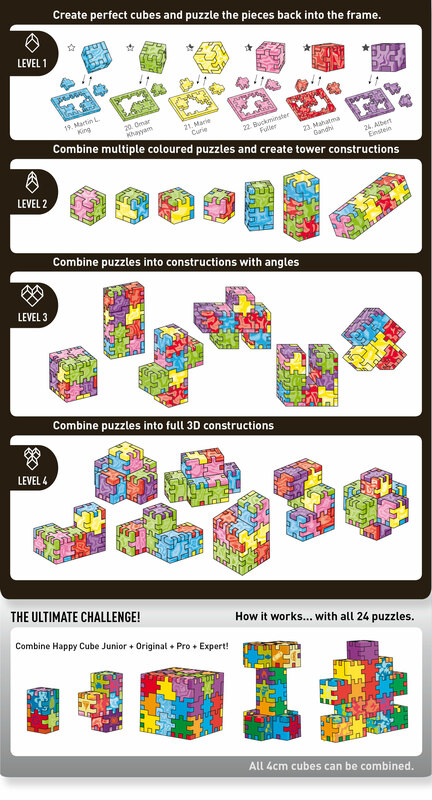 The ultimate challenge is to combine all 24 cubes together. 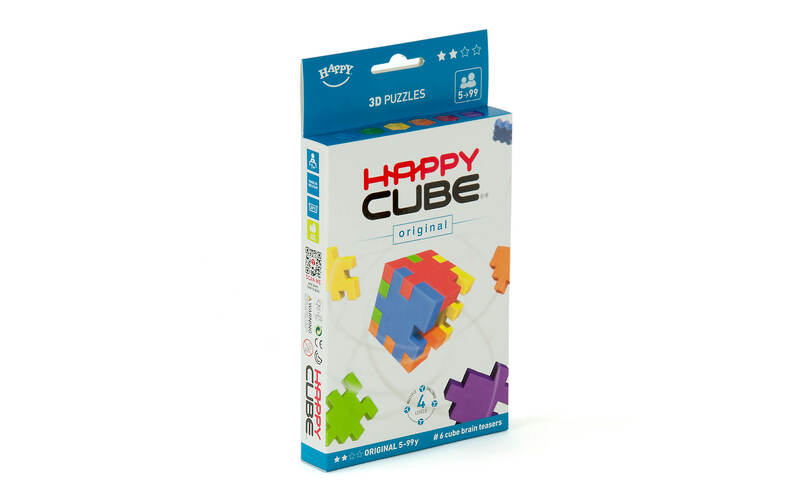 Easier said than done… Brain training guaranteed! 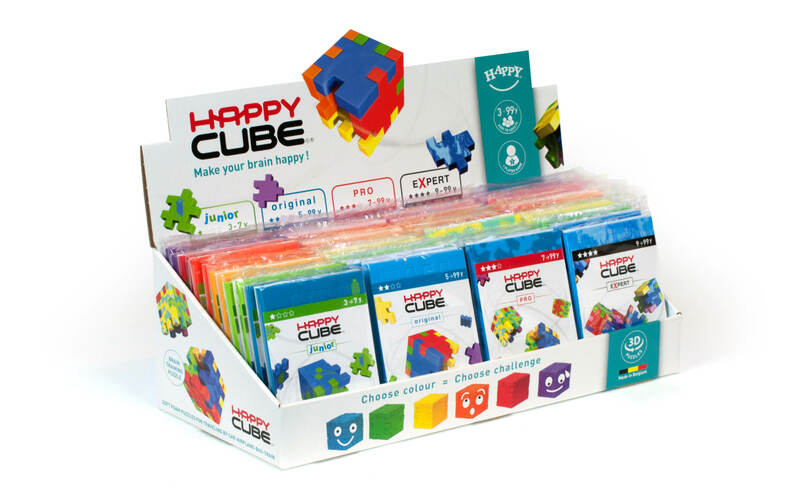 Happy Cubes are designed as 1-player game. 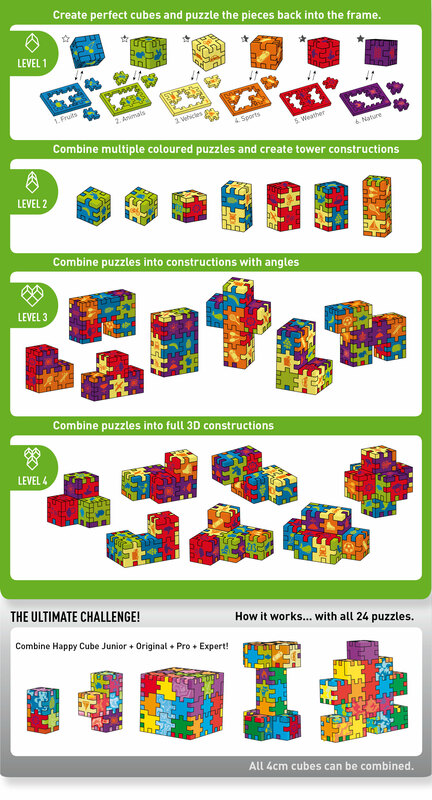 However, when you have more than 1 puzzle, you can share and swop them, as well as time challenge each other. 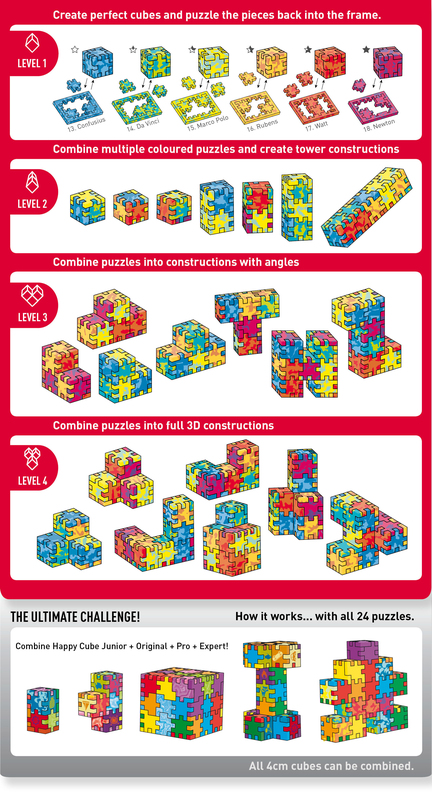 4 game levels and beyond!